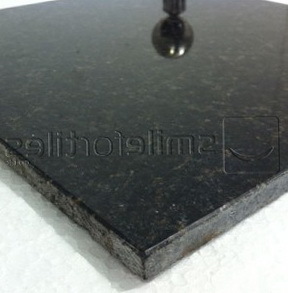 At Smile For Tiles we have several varieties of Granite tiling material, suiting every ones taste and preference. They are not only beautiful but also pocket friendly. Granite is an igneous rock having a light-coloured tone. It is embedded with small grain sized particles, which are visible to the naked eye. Formation of granite takes place under the earth’s surface because of the slow process of crystallization of magma. It is composed of quartz, feldspar, small amounts of mica, amphiboles, and various minerals in small quantity. Because of the mineral composition, it is available in various colours such as pink, black, white, grey etc. • As Kitchen Countertops: It is one of the popular tiling materials, when it comes to kitchen counter tops. As a countertop, the material used should be very easy to clean and maintain on a daily basis. In such a scenario, granite fits the best. It is hard and durable, easy to clean using a cleaning agent and requires less maintenance efforts. Visit Smile For Tiles if you are curious to know more about countertops. • To Beautify the Exteriors: It can be used in block forms to give a historical look to the building exteriors. The blocks can be roughed from all sides or can be combination of roughed and finished sides. The combination of both appears beautiful and elegant as well as yields joints which are tightly fitted. The finished surface blocks can be used as window sills and as roofline levels. The rough surface stones are cheap as compared to finished surface ones. 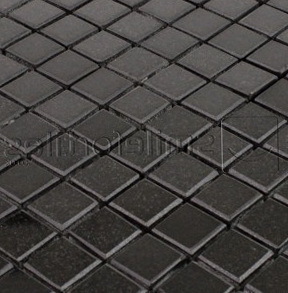 • As Pavers: Patios, garden pavements, driveways, jogging lanes etc can be made very colorful using granite tiles. A combination of natural stone elegance, expert craftsmanship, innovative and unique designs can give a whole new meaning to the above mentioned spaces. It can also be considered for street curbing. • As Backsplash: They are well suited when it comes to install them as backsplash in case of kitchen counters, kitchen or bathroom sink surroundings and elevated counters. In mild wet locations they can be cleaned easily, if proper sealers have been applied already. 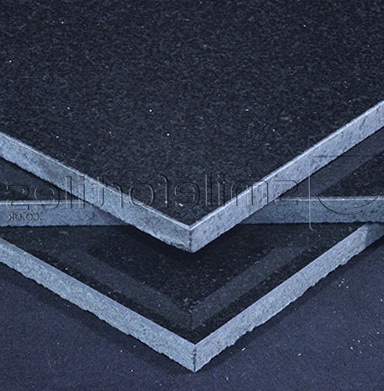 • As Flooring Tiles: They can be used as flooring tiles or even on walls panels. They impart an elegant look and provide a high-luster space to the application area. They are mostly consumed as tiling pieces as compared to other forms. • In Building Works: Because of its strength and durability features, it is being used as a residential and commercial building material since centuries. These are used in places such as homes – for tiling the floors, stair treads, as countertops, as garden tabletops and chair tops, commercial establishments, bridges, pavements, historical monuments, landmarks and many other similar areas. In large projects, they can be used either as a veneer or considered for structuring. In the form of crushed stones or aggregates, it is considered for layering as a base material while constructions of paths, roads, railroads, building foundations or any application area requiring filling of crushed stones.